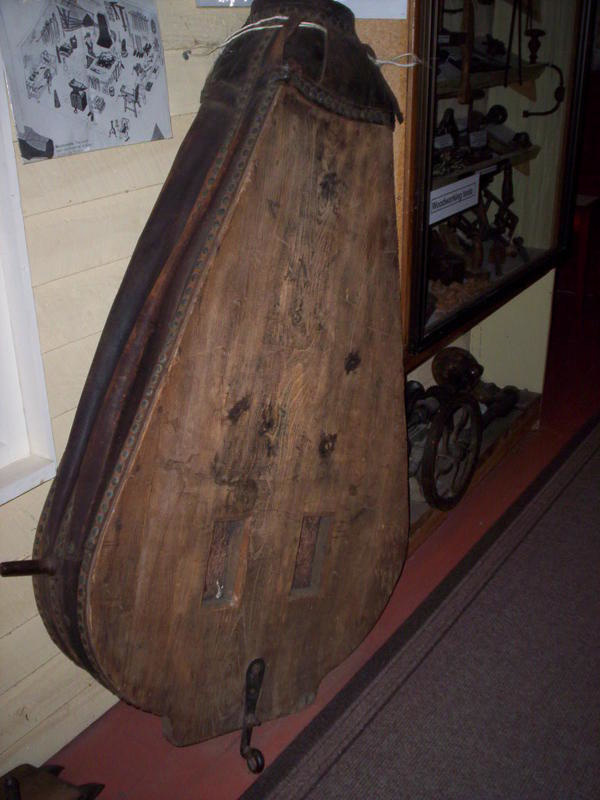 These blacksmith bellows, made c1880, are of wood and leather. They were owned and used by Mr Louis Drogemuller who, in the early 1900s, established his blacksmith business in Lower Moutere. 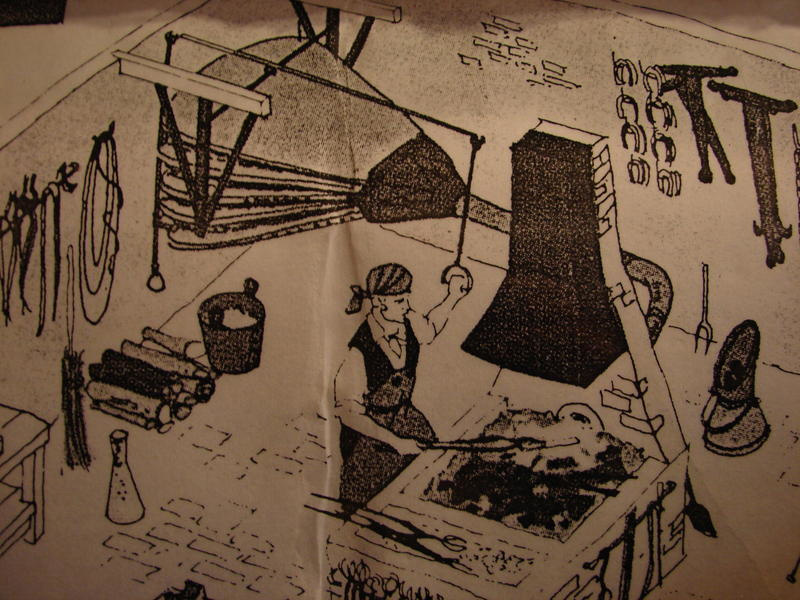 The bellows were suspended from the roof, to which a metal rod was attached leading to a metal chain.The blacksmith would pull this, as needed, to pump the bellows.